The just-finished second phase of Durkan Residential’s ambitious Silken Park scheme in south-west Dublin bridges the gap between two extremes: while phase one was built to the 2002 building regulations, phase three — which will break ground next year — will comprise 59 passive certified units. When phase one of the Silken Park development in City West, Dublin was completed in 2007, the 22 apartments and 33 houses were built to 2002 regulations, and featured partial fill cavity walls and permanent wall vents, with no provision for airtightness. Phase two, which was completed recently, includes 15 houses. 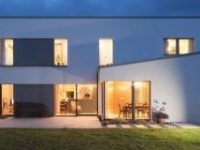 Each boasts highly insulated, single leaf walls, airtightness that in many cases beat passive house levels, and demand controlled ventilation. And phase three – on which work has begun – will showcase 59 certified passive houses. Once complete, it will be, by some distance, the largest passive house development in Ireland. Though the company behind Silken Park is a well-known large scale developer, Durkan Residential is family run — by brothers Patrick and Barry Durkan. Through the early part of the last decade, they specialised in housing for first time buyers, and completed major residential developments in Finglas and Greystones. Silken Park was very much in that mould. Back then, the company sought and received permission for 149 units, completing the first 55 in 2007. The ground floor features 150mm of Xtratherm insulation under the concrete slab and 100mm Xtratherm as an upstand to the inside of the blockwork around the entire perimeter to reduce thermal bridging. “We were focused hugely on finish,” says Patrick Durkan. “We did superior kitchens, quartz worktops, Rationel Vinduer Ltd windows...Although an entry level home, we put a lot of emphasis on interior design and getting a really high quality finish.” Then the crash hit and everything stopped. Phases two and three of Silken Park went into mothballs, the planning permission expired and nothing happened for nearly seven years. By the time the Durkans were able to realistically consider starting again, everything had changed. The building regs were significantly tighter, as were lending conditions, while the market itself was unrecognisable from the heady days of the mid-noughties. The one thing that remained the same was the company’s commitment to delivering a quality product. But while that commitment used to manifest itself in finishes and interior design, it now found a new means of expression. (Clockwise from left) Rockwool’s REDArt Silicone external insulation system being fitted to the concrete block walls; installation of the windows flush with the external insulation layer; the exterior walls are clad with the BrickShield system to create a real brick finish. During the downturn, the Durkans had closely followed developments in the only corner of the building industry that showed any signs of life – the refurb market. They had seen how emerging insulation techniques and products could transform substandard housing stock. To realise this ambition, the Durkans brought architect and sustainable design consultant Jay Stuart – technical director of Durkan’s building fabric contracting company, Ecofix – on board and charged him with coming up with a specification that would deliver low energy at low cost. (Clockwise from top left) Pro Clima Intello membrane fitted to the underside of ceiling rafter; careful taping at window reveals; webjoists are wrapped in membrane for an airtight loop, membrane taped back to the wall with Solido plasterable tape and for extra safety, the plasterer plastered over as much surface as possible – even between webjoists and over the membrane. To that end, Stuart set about creating a series of construction details that could be applied uniformly across all units in phase two. Each one was subject to analysis by industry-leading professionals, to ensure they delivered across a range of criteria, including U-values, thermal bridging and Deap assessment. Ventilation is provided by an Aereco demand controlled mechanical extract ventilation system, with humidity sensitive air inlets. He goes on to say that the view expressed by some sections of the industry, that more demanding building standards somehow inhibit construction activity by driving up costs, has no basis in fact. Patrick Durkan agrees. He says that the decision to go for such a high spec product in phase two, and a fully passive one in phase three, was market-led. And nor will you see the words ‘green’ or even ‘passive’ in Durkans’ Silken Park brochure. As far as the market is concerned, price trumps all other variables. Central bank lending restrictions have been instrumental in choking off funding for first time buyers, making price the most important variable for those looking to get a foot on the property ladder. In addition to drawing up those critical construction details, Jay Stuart also drew on his extensive work in the retrofit market with Ecofix to specify external wall insulation on all units. “The major change and biggest saving was to build the external walls as single leaf hollow block, externally insulated with Rockwool EWI systems,” says Stuart, who commissioned Wufi calculations to be certain that Rockwool – in this case variously finished with Rockwool’s REDArt Silicone and BrickShield external insulation systems, which features a real brick finish – would work with single leaf block walls in this climate. A blower door test was carried out by Building Envelope Technologies to measure the air leakages in the building; with smoke pencils used to identify localised leakage. 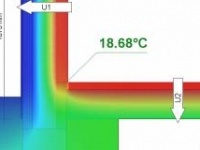 The calculations showed that the moisture content of the whole construction decreased over time and that the thermal performance was good and in line with standard U-value calculations. To repeat, these are hollow-block walls – the much-denigrated staple of Irish house-building that has persisted for so long in the Dublin region in particular. Jay Stuart points out however that EWI makes the build method less important than you would think. “If you’re using external insulation, you could build the single leaf masonry wall from anything. Once it’s structurally stable, and the engineer’s happy with it, I don’t care what it is.” Stuart’s point is well made. The thermal performance and interstitial condensation issues associated with hollow block construction were really about the combination of leaky plasterboard and internal wall insulation that typically went with it. As Joseph Little’s seminal Breaking the Mould series of articles in this magazine’s predecessor, Construct Ireland, showed, dry lined hollow block walls may present a significant risk of interstitial mould. The failing lies with the build-up, not with hollow blocks per se. The method chosen at Silken Park also had the major cost advantage of going up very quickly – reducing build times to 14-16 weeks compared to 18 weeks for a cavity wall house. On phase one, the build team took no real airtightness measures, as the notion of sealing buildings up was in its infancy in Ireland at the time. 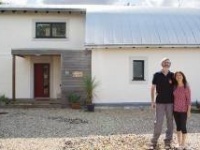 On phase two however, the airtightness strategy was exemplary, and delivered results as low as 0.29 ACH – among the best results ever achieved in this country – ably assisted by experienced airtightness contractor Roman Szypura of Clioma House. With great airtightness comes great ventilation – or at least it should. In phase two of Silken Park, the decision was taken to go with an Aereco demand controlled mechanical extract ventilation system. There are two major advantages to this system — it’s maintenance free and has exceptionally low running costs. It does tend to be less efficient than heat recovery ventilation, says Jay Stuart, but tests have suggested that the shortfall is only in the order of 8 to 12 per cent. In order to meet the renewable energy obligations under Part L of the building regulations, a kilowatt worth of solar PV panels from Warik Energy was placed on the roofs of the phase two homes. And as this phase approaches completion, the design and build teams will soon turn their attention to the 59 fully certified passive houses that will comprise phase three. The reality however is because of the build quality in phase two, going that final step to passive is no more than that, a step. A report by James Walsh of Low Energy Design revealed that only a few changes have to be made to the specification. The demand controlled ventilation system will be replaced by MVHR, the windows will be upgraded to triple-glazed while the building envelope will need a slight increase in insulation levels – with 40mm more Rockwool for the external insulation system. In addition, the design team has decided to streamline systems within the new units by going for all electric appliances and equipment. Patrick Durkan is looking to the day when phase three homeowners can put PV on the roofs of their houses to take care of their energy needs, and perhaps even sell energy back to the grid. With this in mind, Jay Stuart says that there may be an opportunity to build a zero energy house in this phase. 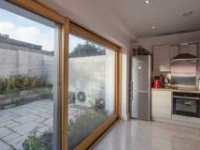 “If so,” he says, “it will be among the first commercially built NZEB houses in Ireland. We know how to do it and we know the costs but we’ll all have to wait to see what happens. There is more to be learned and we will share our journey in the next chapter of our story. Building type: Phase two of private development, consisting of a mix of terrace and semi-detached. Eight two-storey terraced houses (74.5m2), six three-bed semi-detached houses (90.8m2), and one four-bed detached house (125.8m2). Airtightness: 9 of the 15 houses in phase 2 achieved less than 0.534 ACH at 50 Pa, well below the passive house target. The worst airtightness test result on completion was 0.812 ACH at 50 Pa. Thermal bridging: Floor slab built using a traditional strip foundation, plinth insulated with dense/waterproof EPS right down to the foundation. Fixed 100mm Xtratherm as an upstand to the inside of the block around the entire perimeter. Joist junction using Durkan details: 0.077 W/mK. The brief was to draw a continuous line around the building and ensure the thermal line remained intact. Using Durkan’s own details all doors and windows are set in the insulation zone. Roof junction detail worked very well ensuring adequate ventilation. Not breaking thermal line has proven difficult here because of the tight angle, however by changing truss details slightly a psi-value of 0.077 W/mK was achieved. Heating system: Vokera Mynute I20 modulating 92% efficient condensing gas boiler supplying heating to conventional wall radiators and 300 litre buffer tank. 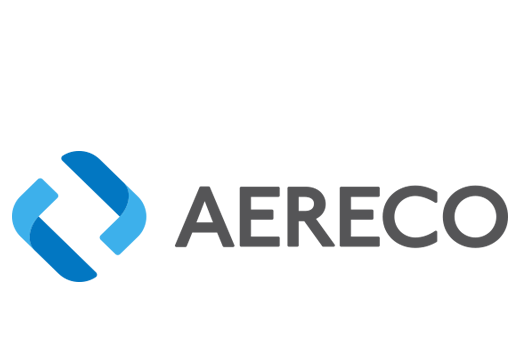 Ventilation: Aereco demand controlled mechanical extract ventilation system. Electricity: Four 250W solar PV panels per dwelling. Green materials: All timber furniture from FSC/PEFC certified sources. Affordable & Highest Quality Windows. Modern, Energy Efficient. Enquire Now! Modern & Classic Styles. Timber & Aluminum. Free Consulations.